The suits dual colour design gives a great stand out effect. Thoroughly tested fabrics offer superb protection at a competitive price. 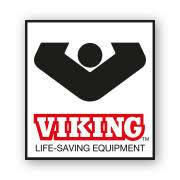 Click on the logo to be redirected to Viking Life-Saving Website for more options. We really like our Viking Duo Bunker Gear so far!